WordPress Multisite makes it simple to manage multiple WordPress websites from the same server and interface. This image is certified by Bitnami as secure, up-to-date, and packaged using industry best practices, and approved by Automattic, the experts behind WordPress. 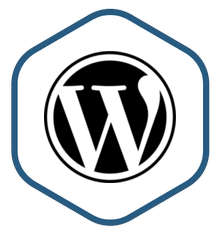 WordPress Multisite is ideal for organizations such as universities, corporations, and agencies that need to enable many people to host and manage their own websites while giving overall control to a central administrator. These websites can all have unique domain names and layouts while sharing assets such as themes and plugins. One WordPress deployment to manage multiple, independent websites. Shared themes and plugins drastically change the look and feel of each website for truly custom content, while allowing a single source of updates for all of them. SSL auto-configuration with Let's Encrypt certificates is included. Configuration is optimized for smaller instances, with additional caching functionality to improve performance. Always up to date and secure.